Thirteen seats mean little for a country with over 1,000 parliamentary seats, yet the provisional results of Myanmar’s by-election over the weekend gives a foretaste of the shifting political momentum. Myanmar’s ruling party led by the country’s leader Aung San Suu Kyi lost a constituency it previosly held, to the military-backed opposition party, in by-elections held over the weekend, preliminary results showed Sunday. Myanmar Human Right Commission announced on November 4 that they found no unusual activities in polling stations that they observed and that the election met international human rights standards. All the chefs are ready to prepare the dishes fresh, right in front of you. This kind of service is only to be had at the Novotel Yangon Max. The results of 2018 by-election did not meet their expectation, said Dr Zaw Myint Maung, Vice Chairperson (2) of the National League for Democracy (NLD). 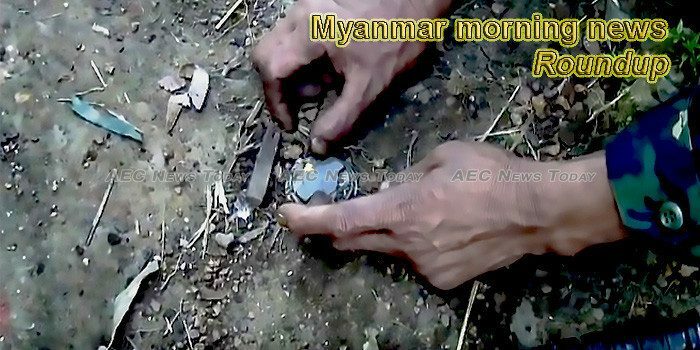 The Restoration Council of Shan State (RCSS) claims that the Myanmar military last week warned ethnic Shan living in northern Shan State that they could be arrested under the Unlawful Associations Act if they interact with the armed group. The family of one of the accused in the murder of a popular Facebook comedian gave 150 million kyats to his family in exchange for dropping the case, an official of the national anti-graft body said in court on Friday. Myanmar earned about US$480 million from overall border trade volume during October 1 to 26 in 2018-19 FY and half of them had come from Muse border trade zone, according to Ministry of Commerce. A half-hearted crackdown on the sale of imported liquor in Yangon has drawn attention to an increasingly bitter fight between liberalisers and protectionists. Civil society representatives fear that the pastors will be charged with violating Article 17(1) of the Unlawful Associations Act. Government officials, donors and partners have met to consider the United Nations Conference on Trade and Development (UNCTAD)’s appraisal of how e-commerce can boost Myanmar’s economy and the next steps forward. Myanmar’s ruling party National League for Democracy (NLD) has won six of the 13 parliamentary seats in the parliament’s by-election on November 3, according to the country’s Union Election Commission (UEC). Inside a secret war room of an army mountain division, some 15 feet underground in the basement of a building on a hill, a two-star general in combat fatigues details the long-running security challenges Manipur faces and how insurgent safe havens across the border in Myanmar imperil the state’s stability. YANGON, Myanmar (AP) — Myanmar’s ruling party led by Aung San Suu Kyi has won at least six seats in by-elections to fill 13 of the 1,171 seats in national, regional and state parliaments. Myanmar has failed to improve its ease of doing business ranking for the third consecutive year, with the latest figures from the World Bank showing that the country remains the worst place in ASEAN to conduct business. YANGON – Lawyers for two Myanmar Reuters journalists filed an appeal Monday against their seven-year jail sentence linked to their reporting on the Rohingya crisis, the news agency said. YANGON, Myanmar: Lawyers for two Reuters reporters jailed for seven years in Myanmar lodged an appeal on Monday against their conviction on charges of violating the Official Secrets Act. Contrary to the current focus on high-stake humanitarian diplomacy, the EU should use its Generalised Schemes of Preferences (GSP) rewards to nudge Myanmar and Bangladesh to collaborate on common practice areas such as aquaculture and garment manufacturing, which includes textiles, clothing and footwear (TCF). Myanmar held an art and music festival, ‘Voices for Wildlife’, aiming to support the government’s combat on illegal wildlife trade as well as to raise awareness of wildlife conservation in the country. YANGON: Myanmar plans to hold an ethnic culture and tourism festival here in January next year to promote tribal groups.